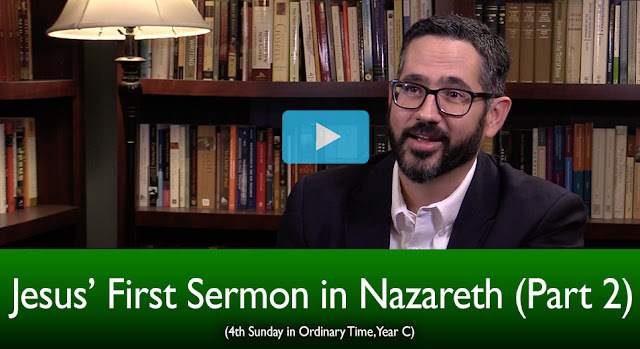 This week's video for The Mass Readings Explained is now out. Check it out below and please Like and Share. Now I don’t know about you, but whenever I see this passage…if I was sitting in the synagogue and he quoted this, I’d just be like, “Oh. That’s interesting. Naʹaman… widow of Zarʹephath… okay.” I would not rise up and want to throw him off of a hill for saying that. So if you don’t understand the crowd’s vehement response to Jesus, it’s obvious that you don’t get the allusion to those Old Testament texts that he’s quoting there. So it’s really important for us to actually go back to those Old Testament passages and look at them in context.